At first glance a minimal and arresting piece of sculpture, the Mobius reveals itself to also be a functional handy lamp. Your desk will thank you! 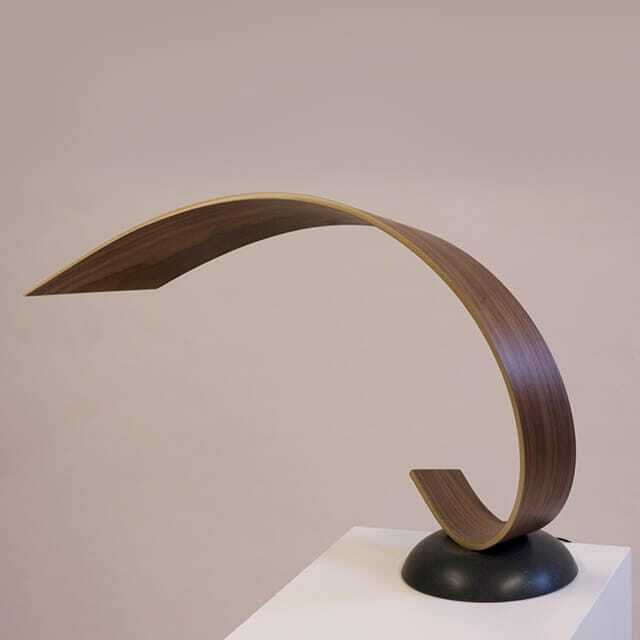 Inspired by the simple closed curve of the Möbius band, a twisted loop with interesting mathematical properties, Joachim has formed the body of the lamp by bending walnut timber into a gentle curve. 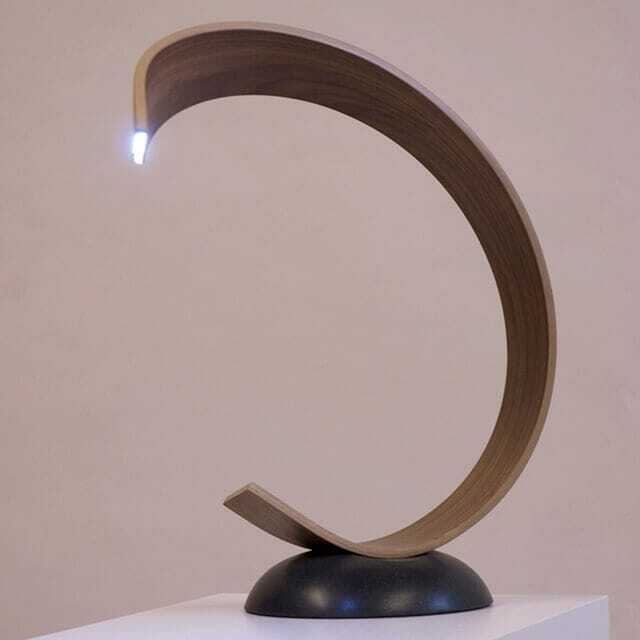 Adding function to its elegant form, a discreet LED light strip is embedded into the end to provide useful work light. This version is in walnut with a black base. Please note this piece is made to order only. Glasgow-based designer and cabinetmaker Joachim King originally hails from a family of boat builders in the Finnish archipelago, so woodworking is definitely in his blood. After graduating in Mechanical Engineering he worked in manufacturing before turning his passion into his profession, and now combines practicality and craftsmanship to create high-quality modern pieces in wood. Joachim strives to bring new and unusual forms to his furniture, using traditional techniques, modern manufacturing processes and computer aided design (CAD) to produce innovative designs which marry form and function beautifully. 'I grew up on islands near the town of Porvoo in Finland and Luing on the west coast of Scotland, so boats and the sea were a huge influence. I picked up a lot of skills from my father who built many boats and even the house we lived in. With my work it's a case of adapting traditional techniques to make modern, sculptural furniture and lighting – of creating something new and fresh and not just falling back into tradition at every point. If I can do something different with a piece of wood, then I usually do.